The fairy in red, Flora is the leader of the group and the voice of reason (except when it comes to the color pink). 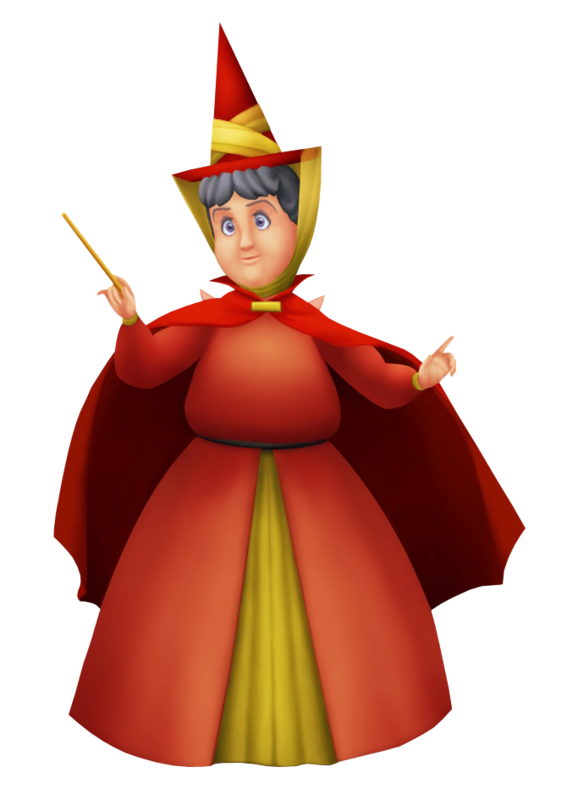 Flora, Fauna, and Merryweather gave Sora his new and magical clothes for to prepare him for his new quest. The first ability he gains access to is his Valor form and he receives the Star Seeker Keyblade along with it. However, he will have to discover the other abilities on his own. Shortly after Sora left, Diablo, Maleficent's crow, appeared with the witch's old cloak. The three fairies tried in vain not to remember her, but their memories began to bring Maleficent back to life. All they could do was to fly away and warn Master Yen Sid. The leader of a trio of Good Fairies, Flora is a kind and motherly soul who can be scatterbrained at times, but who always keeps the Fairies together. She has a preference for the color red, as is obvious from her choice of clothing. To protect the infant Aurora from Maleficent's curse, Flora was the one who came up with the plan to hide the princess in the forest, christening her Briar Rose to throw Maleficent off her scent. For all her efforts however, Aurora eventually succumbs to the curse, and to make matters worse, her heart is later stolen by Maleficent. She requests Ven's help to save the sleeping princess, and together navigate Maleficent's mystical maze to free Aurora's heart. When Aqua and Prince Phillip confront Maleficent's dragon form, she enchants Phillip's sword, allowing him to deal a fatal strike and reversing the sorceress's dark magics. 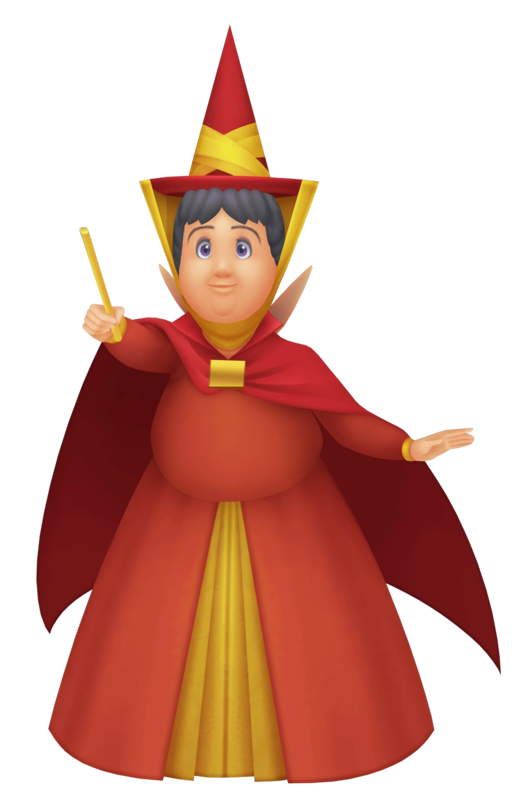 Clad in warm and welcoming reds and yellows with a kind and motherly persona to match, Flora acts as the head of the Three Good Fairies, often coming to aid the Keyblade heroes on their journey. This time around she, along with Merlin, Fauna and Merryweather, have taken Lea to a special place in order to train him in the art of Keyblade wielding with little time to spare.